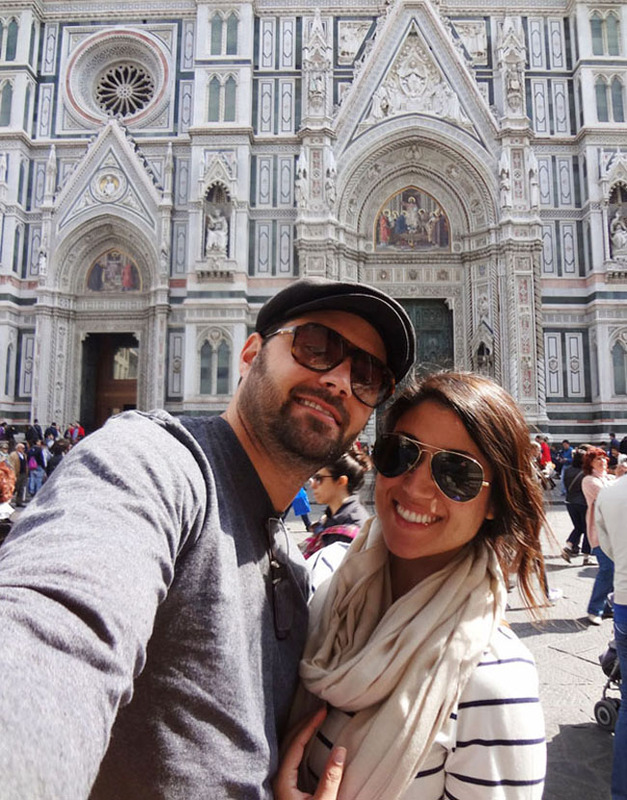 vickichristine: florence flavor - get your travel on! see that building behind us? 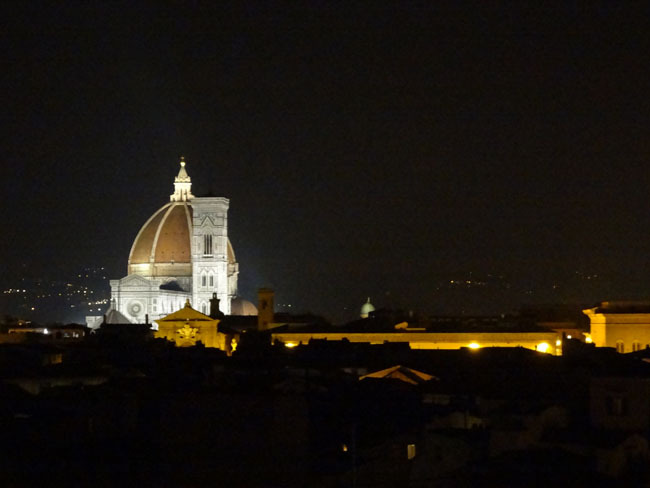 it's called the duomo. it's pretty famous. it's a sight to see, so go and see it. i bet it's really neat from the inside too or from the top overlooking all of this lovely city but i wouldn't know because i didn't wait in any lines or climb any claustrophobia-inducing stairs to find out. 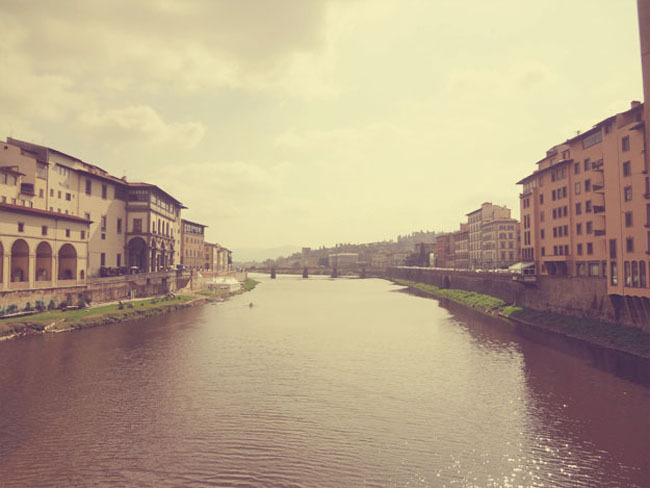 also lovely in florence is the arno river and it's pretty bridges. 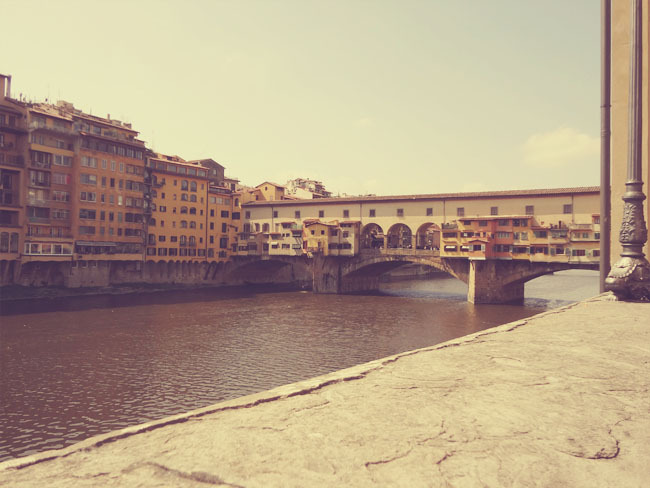 ponte vecchio is probably one you've heard of. 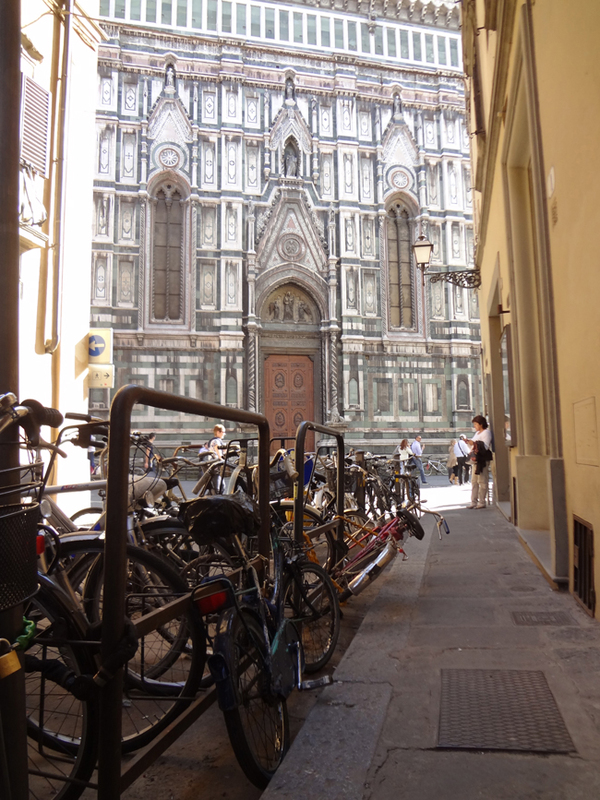 the version we see today was built in 1345, according to my italian tour guide and wikipedia. that's like, super old. but it's still there! standing and waiting for you to cross and possibly purchase some very expensive jewelry on your way to the other side. yay! 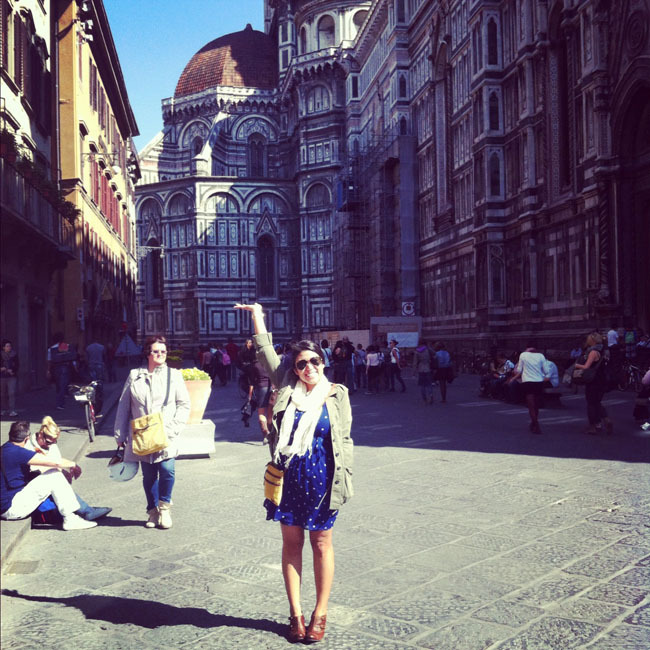 we loved florence. 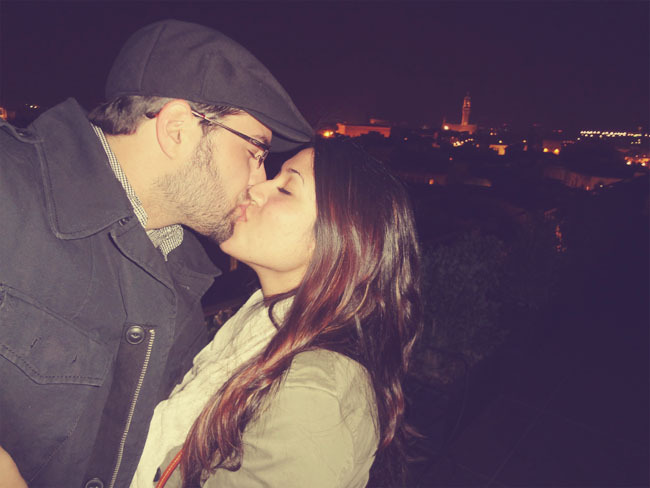 love, love, loved. 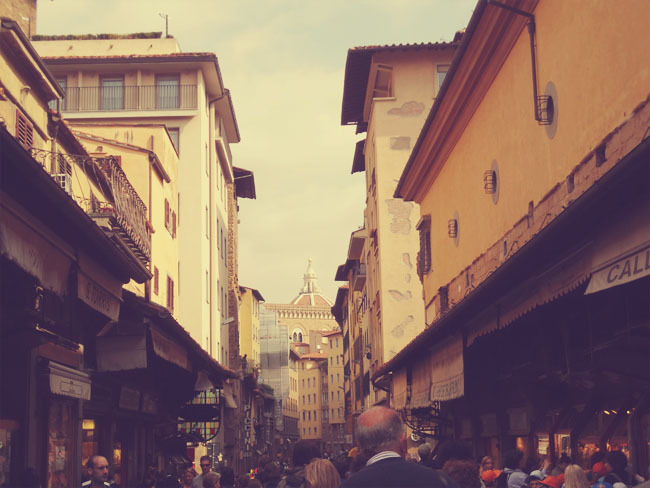 it's much more quaint than rome and you can truly walk it all in one day. but you shouldn't because it is meant to be strolled through. stroll, go shopping, take pictures, admire art. breeeeathe it in. 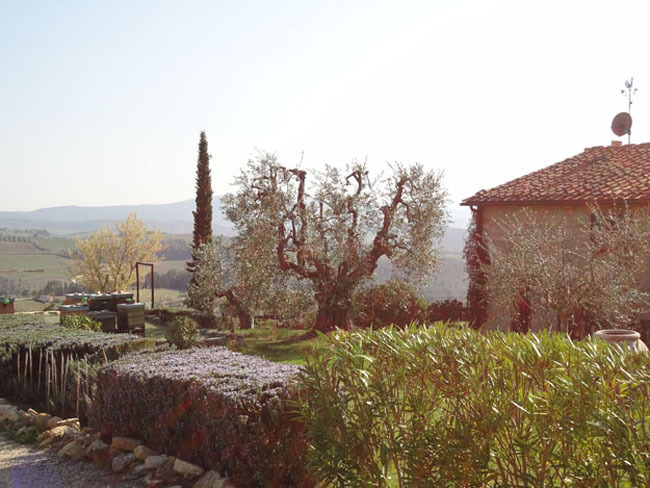 and if you have the time while in florence, take a day to explore the countryside. 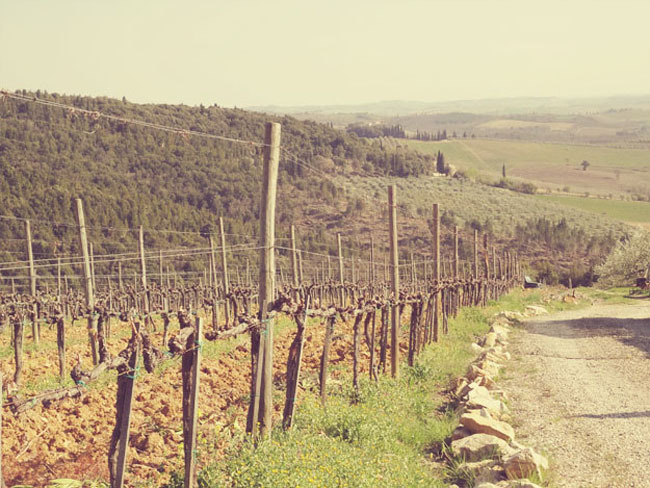 we kept it pretty simple and took a half-day bus tour to chianti. like the wine, the most delicious, lovely wine ever. it's a favorite of ours and oh, oh, oh...bunny loved that sip (or two) of said wine in its birth place. it's also rather gorgeous around those parts. and when you get back from your day trip, take a nap on the grass in piazza santa maria novella. and kiss the one you love. Thank you so much for taking such beautiful pictures!!! Feels like I was there too! This is a place I have always dreamed of going!!!! 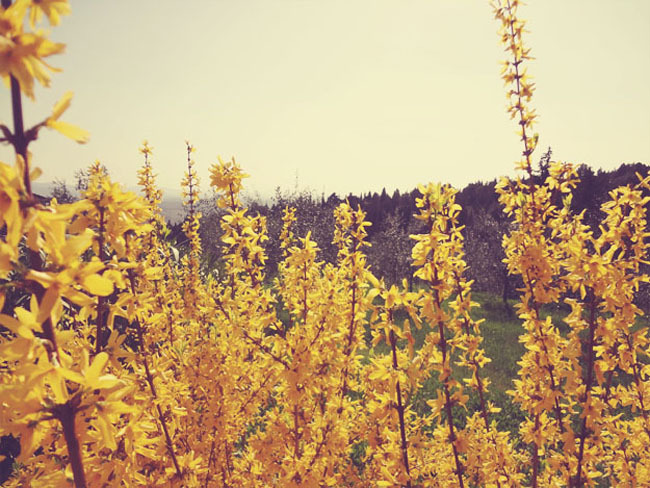 I especially love the pics of the countryside! Gorgeous! Great pics, looks like an awesome trip! Thanks for sharing! LOVELY!!!! Especially that last picture :) so cute!!!! Love it! Love you! AHHHHHH . 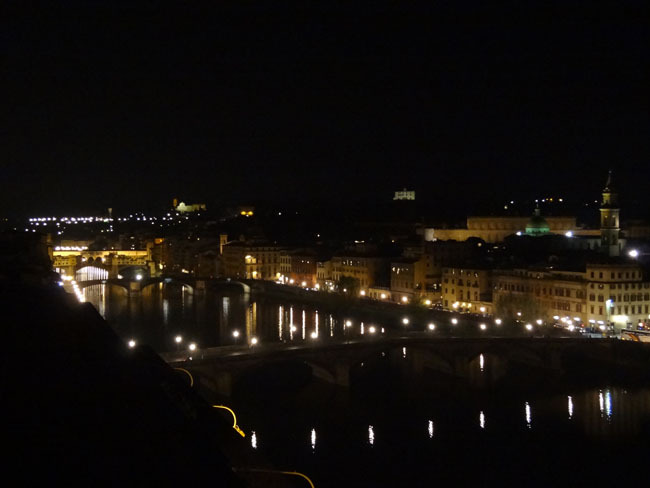 Ah, I never did see Florence at night. Simply magical looking! Gorgeous shots! Looks like you had an amazing time!